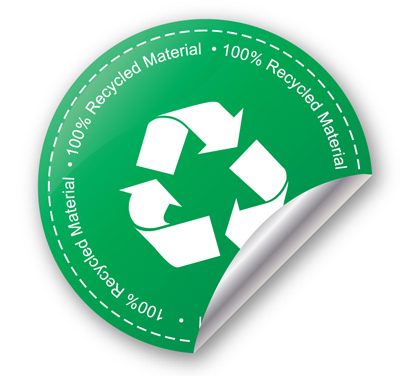 UK Vending is a responsible supplier that takes every opportunity to reduce its impact on the environment. 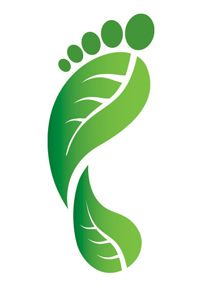 We have in place a carbon footprint reduction policy with rigorous procedures that ensure we minimise carbon emissions from all vending products we supply as well as a robust in-house policy that ensures we and our staff are informed, environmentally active and socially responsible thus reducing the impact of all areas of our business on our world. Every year, people in the UK drink millions of cups of coffee and tea from vending machines in the workplace. 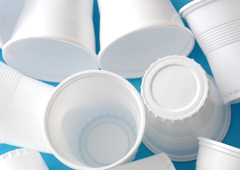 Normal paper cups, often used for hot drinks, contain an oil-based plastic lining which prevents them from being recycled. Finding a more environmentally friendly alternative has been a real challenge - but we overcame it! We are proud to introduce the UK's first eco-friendly hot drinks vending cup: The UKV & Flavia's N-viro cup. UKV & Flavia's new N-viro cup is an environmentally friendly alternative to traditional paper cups, which uses PLA, a bio-based plastic lining derived from corn which is fully compostable. Composting - composting is the process of breaking down organic waste into compost which can be used to add nutrients back into the soil. Flavia from Mars Drinks and UK Vending Ltd are the first to set up a collection scheme in England to help you turn your cups into compost! Flavia N-viro cups need to be composted in industrial facilities because they require specific conditions to ensure they break down see - we thought of everything. The launch of the N-viro cup means you can now enjoy the same great tasting FLAVIA Fresh-ground Coffees and Real Leaf Teas, whilst doing your bit for the planet. UK Vending with Mars Drinks is a founding member of Save a Cup; a not-for-profit organisation that collects and recycles polystyrene (plastic) cups. The recycling scheme offered by Save a Cup allows KLIX customers to recycle their used plastic cups and reduce the amount of waste they send to landfill sites. How does it work? When a KLIX customer has joined the Save a Cup scheme they simply need to collect all of their used KLIX cups in special recycling bins. Save a Cup will collect the cups from the site on a regular basis and take them to a plastic recycling plant to be turned into useful products such as ice scrapers and cup trays. Since we with Mars Drinks helped to form Save a cup over one billion cups have been recycled. Each year we estimate that around 300 tonnes of KLIX cups are recycled and we want to double this figure over the next couple of years.